Although major metropolitan areas like Silicon Valley and New York City draw popular attention as the country’s innovation hotspots, many U.S. cities like Philadelphia have made great progress is cultivating their own thriving innovation ecosystems. In this episode of Mastering Innovation on SiriusXM Channel 132, Business Radio Powered by The Wharton School, Francisco Garcia, Director of Business Development in Philadelphia for Innovation and Technology, discusses the strategies Philadelphia is employing, as well as the strengths and weaknesses that can foster or hinder innovation in a city. There are many factors that lead to strong centers of innovation. From venture capital to affordability and access to talent and research, the more attractive an area is for businesses, the greater the chance it has in capturing the economic value these businesses bring. 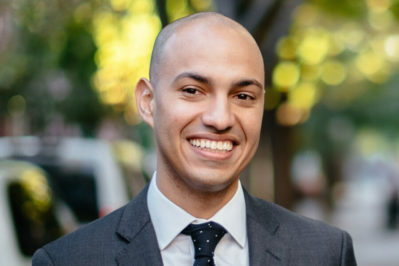 Garcia’s role is to support the growth of the city’s existing ecosystem by enticing start-ups and larger companies to set up shop in Philadelphia. He points to recent success stories, such as the marked increase in the percentage of students that remain in the area after graduation, as indicators that the city is gaining momentum. Harbir Singh: We have the Pennovation initiative here that the University of Pennsylvania is deeply involved with, and it has been very successful. J&J recently created an innovation pod just last week. Can you speak about some of these corporate activities to help give people a sense of employment, growth, and startups in this area? Francisco Garcia: Absolutely. I was at that event for Johnson & Johnson. We are very happy that they selected Philadelphia for the JPOD. It’s one of those things where, little by little, we make changes to the city. It’s small wins, and it’s not always the large employer that moves in with a few thousand jobs, as we’ve heard in the news recently. They can happen with these small wins. For an employer like Johnson & Johnson (which is from New Jersey, not too far away) to really notice those things happening in the life science field in Philadelphia is a good sign. Having that opportunity to be a part of their ecosystem is how we make those small wins turn into bigger ones. Singh: What do you see as drivers of more vibrant ecosystems? Your job is to foster them, and so I’m sure you have some sort of sense of the key drivers. Garcia: Sure. Let’s talk about, number one, the quality of life of the city, which is a long-term effort with lots of key stakeholders. We have the talent, we have an affordability that not many cities can offer, and we’re in a really great geographic location between New York and D.C. We have all of these assets, so how do we turn that into an ecosystem? It’s the little wins, like the folks at Penn that have been creating this Pennovation Center, and the Science Center launching their new headquarters tomorrow with a great anchor tenant in the Cambridge Innovation Center. Comcast, our biggest corporation in the city, is opening the Comcast Innovation Technology Center, doubling the footprint of the company in terms of real estate and making a big investment when it comes to technology. The ecosystem takes a long time. We can look at Philadelphia, which was so drastically impacted by the flight of manufacturing that it’s taken all the way since that period to really get to where we are. Some cities have more resources than others and made that shift a little more easily, but the collaborative effort in Philadelphia has been strong. There’s been a lot of dedication from people who truly love the city. Singh: Look at two recent news announcements: One of them is Amazon’s choice of HQ2 split in two places in the extended New York area and also in northern Virginia. The other is that Google is going to add several thousand jobs in the West Village. Can you comment on the differences between Philadelphia and the NYC area? We are winning some, but there are also these big moves happening. Let’s talk through that a little bit. Garcia: Sure. What’s happening there is that we’re finding out how important clustering really is, and it took me a bit to really realize how important it was. I used to be a small business owner. Working in a space where I met with a lot of companies, I certainly know that affordability is important, talent is important, and access to research, etc., for innovation purposes is important. What we’re realizing is that clustering is the number one factor, and that’s what some of these companies are finding in places like D.C., New York, and obviously Silicon Valley. So there’s no surprise that three states in the United States get 75% of the venture capital. That clustering factor of all of these minds and companies being in one place drives them. They will learn that there are some issues with infrastructure holding all of these people and managing that growth, but that seems to be the number one factor attracting them to go in these specific places. Singh: What are the biggest challenges in supporting startups and tech companies in Philadelphia that you are overcoming? Let’s talk about those first and then see what the trend line is. Garcia: Venture capital is the biggest challenge, and we wonder, is it the chicken or the egg? Does money follow talent and the entrepreneurs, or does the entrepreneur follow the money? It takes little wins, and what we see in places like New York and Silicon Valley is oftentimes the big exit. The company IPOs that are sold to a major corporation create significant wealth within its employees, and those employees go on to fun new innovations and start their own companies. It creates this really great cycle that we don’t necessarily have in Philadelphia. We haven’t had those major exits that create this new generation of investors and entrepreneurs. Those things are coming, and it’s a major factor in hindering the quick growth of this ecosystem. Singh: Talk a little bit about the role of accelerators. Garcia: Accelerators play a role in the community and the ecosystem. We certainly have some good examples in Philadelphia. In Pennovation you have an example, and recently we had LIFT Labs, a collaboration between Techstars and Comcast. It is a big step for us to have the two names collaborating and attracting startups from all over the world. This coming year, Backstage Capital and Microsoft are launching a four-city accelerator that is focused on diverse founders (that’s people of color, women, or members of the LGBTQ community) and the four cities are London, Los Angeles, Philadelphia, and Detroit. We are super excited to be mentioned in that list. Ultimately, that’s going to lead to creating six companies that are each getting $100,000 in funding. That’s coming this spring. These are members of the ecosystem, and they play a major role in not only bringing notoriety to the city, but also creating new companies. As the Director of Business Development for Innovation & Technology, Francisco is the City’s main liaison with the local tech community. He is responsible for attracting startups and larger tech companies to Philadelphia, while also implementing strategies to support the growth of the city’s existing ecosystem. This includes the planning and execution of StartupPHL initiatives, and identifying ways the business community and City government can work together to diversify Philadelphia’s tech scene.